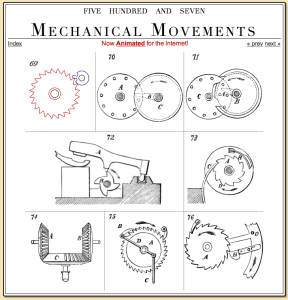 There are those people who meticulously read books from beginning to end, then there are those who go through them with a fine tooth comb and try to recreate every single device in the classic book 507 Mechanical movements. This entry was posted in Gear, Inspiration and tagged movement, website. Bookmark the permalink.